A gentle cross my heart sympathy cross symbolizes truth, love,and peace with a air of dashing elegance. 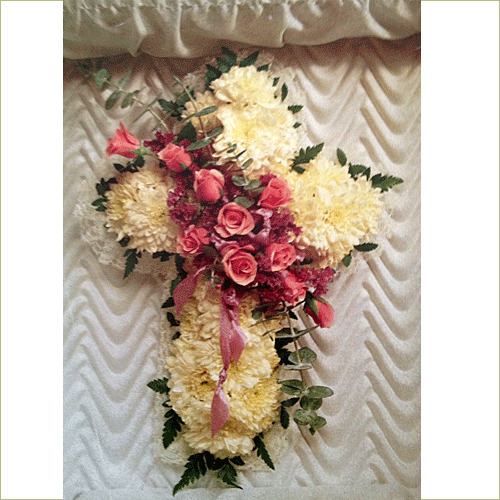 This cross is hand made and delivered by a professional florist. Standard cross includes 35 stems. Deluxe cross includes 40 stems. Premium cross includes 45 stems.